Illinois State junior Casey Ross on the red carpet at the Cannes Film Festival. The Cannes Film Festival is the most prestigious movie marketplace in the world, drawing celebrities to the French Riviera for 12 days of screenings, wheeling and dealing, and beach time. And right in the middle of it all this year was Illinois State junior Casey Ross. The mass media major made her own Cannes premiere this month thanks to a feature film marketing internship offered through her Study Abroad program. Ross spent the spring semester living in a small beach town in France called Antibes, while also traveling all around Europe. But it was that chance for a Cannes internship at the end of her trip that ultimately convinced her to sign up for the program. “The internship was the absolute cherry on top of an unreal semester,” said Ross, a Lockport native who has a cinema studies minor and plans a career in the film industry. Ross was one of 200 students participating in Illinois State’s Study Abroad program during the 2013-2014 academic year, plus another 224 students this summer. Ross always wanted to study overseas, and she discovered the CEA program in France after attending a Study Abroad Fair on campus. At the Cannes festival Ross worked with four other interns on a film production company’s marketing team. At first, they planned networking and after-screening parties at a fancy villa overlooking Cannes. She spent the second half of the May festival networking with industry professionals, watching films, and getting star struck. 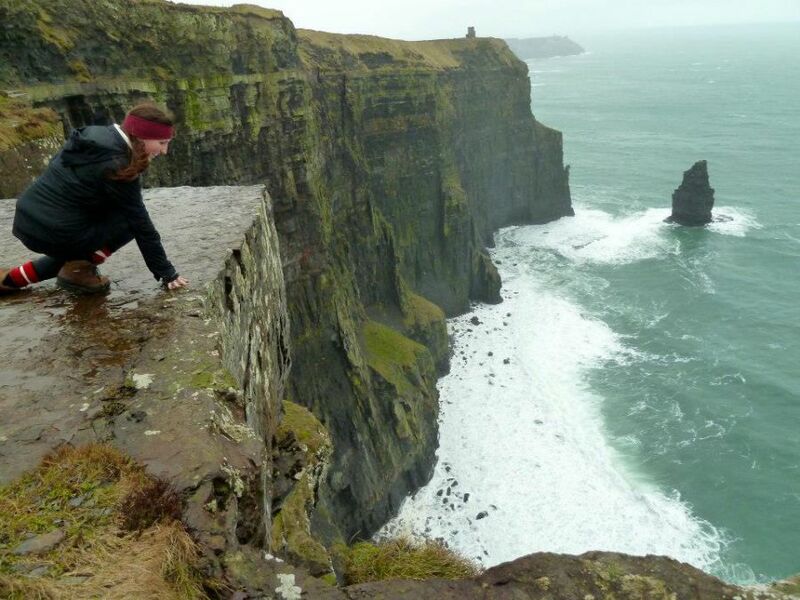 Ross also traveled to the Cliffs of Moher, Ireland, during her Study Abroad trip. She saw eight films, spotted Julianne Moore and Blake Lively on the red carpet, and even schmoozed with the director of the Sundance Film Festival. She stood a few feet away from Snoop Dogg (aka Snoop Lion) as he served as guest disc jockey at a Cannes club. “Needless to say, it was the greatest night of my life,” Ross said. But she had work to do too. She was setting up (and then attending) meetings for her company’s top deal-maker, who was looking to sell finished movies or finance others in production. It was overwhelming at first. Ross wants to work in the movies after graduation, and may attend film school. “While I am more interested in the production side of the film industry, I think it was extremely important for me to get a better understanding of the marketing and financial side,” Ross said. “This past semester has far exceeded my expectations,” she added.